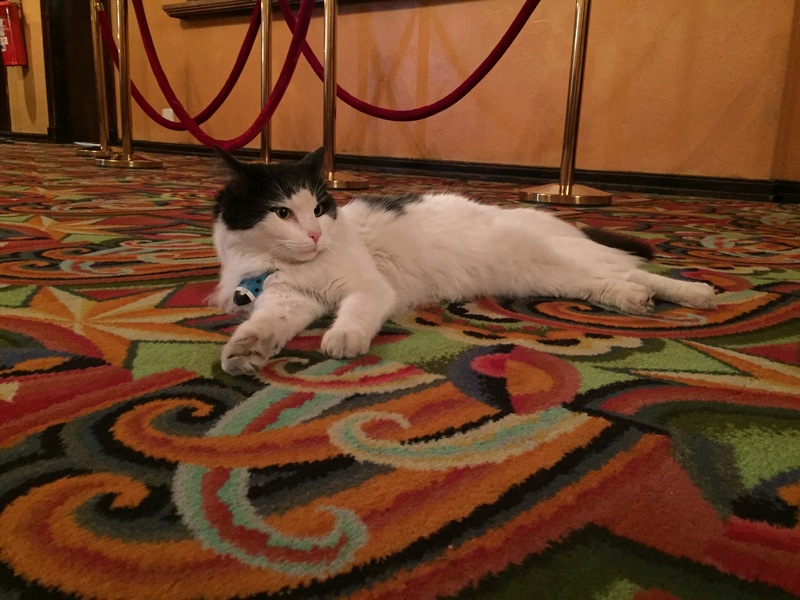 With his handsome features, black and white cat Duke has quickly claimed the hearts of the Astor Theatre staff and patrons as the theatre’s new Astor cat following his adoption from The Lost Dogs’ Home in June. Following the lead of the much loved, tortoiseshell lady Marzipan, the previous Astor cat who sadly passed away in 2013 at the age of 21, it is clear that Duke has some big paw prints to fill. Given his new address, Duke was giving his name by Zak Hepburn, General Manger at the Astor who named him after silver screen legend John Wayne, whose nickname was Duke. “When we picked him out, he was pretty relaxed and had such a nonchalant swagger that I immediately know his name should be Duke. 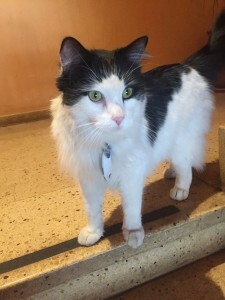 “Since Palace took over the Astor there have been so many enquiries into whether we’d get another cat and while Marzipan is irreplaceable, we thought as this year marked a new chapter for the Astor, why not give Duke a new chapter in his life? And support a worthy cause like The Lost Dogs’ Home,” enthused Zak. The Astor’s adoption of Duke shows that cats can be great pets for anyone and are perfectly suited to living in a range of different circumstances says Dr Alan Bolton, Senior Veterinarian at the Home. “Adopting a pet from a shelter like The Lost Dogs’ Home is a rewarding experience, as you are giving an animal a second chance in a loving home. Adopters know first-hand the effect adoption has on changing an animal’s life. “It is great to see that Duke has gone on to find his new home at the Astor and it shows to all of us that cats are adaptable to a range of different living situations and can easily become pets for businesses and offices as well as with families,” said Alan. Duke is already taking in his new surroundings and is coming out to meet regulars of the Astor’s grand corridors. “While it will take some time for Duke to settle in properly, his is already welcoming anyone who comes in for a coffee to say hello. “He has yet to be here for a full film session or double feature, but we’ve got a feeling he’ll like Westerns,” says Zak. If you are thinking of adopting a cat for your family or business click through to view our adoptable cats. You can also come down to our North Melbourne Shelter at 2 Gracie Street, North Melbourne to meet all of our fantastic felines in the fur.